Image of the L-probe proximity-fed rectangular SPA. 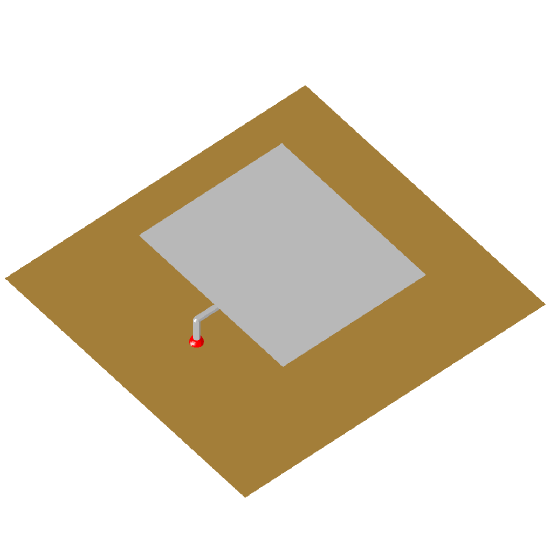 An SPA (suspended plate antenna) with a thick, low-permittivity dielectric substrate can be considered as a variation of a microstrip patch antenna. Their low profile and / or small volume often make them attractive to antenna engineers. They are good options for fixed base stations in wireless communication systems [Volakis].